Concord police on Wednesday released a sketch of a bicyclist wanted for allegedly shooting a motorist with a flare gun in late June after an altercation on Willow Pass Road. The shooting occurred around 4:10 p.m. on June 28 on Willow Pass in the area of the northbound Interstate 680 off-ramp, according to police. The altercation ended when the bicyclist took out a flare gun and shot it at the motorist, causing a serious injury. The victim has since been treated at a hospital and released, police said. The Police Department's major crimes unit released a sketch of the suspect, who is described as a white or Hispanic man who is about 5 feet, 9 inches tall, weighs about 160 pounds, has brown hair and had a mustache. 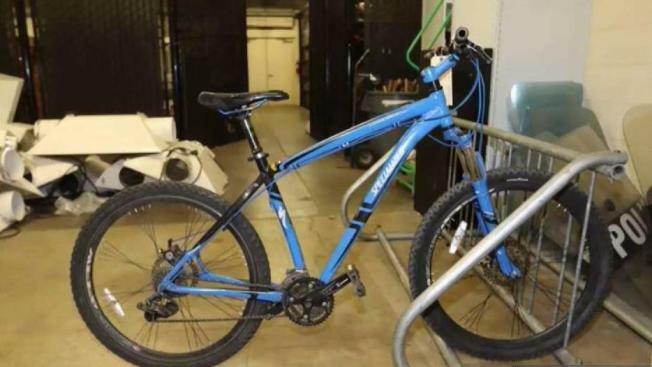 After firing the flare gun, the suspect ran away and left behind his blue Specialized mountain bike, which police have also posted a photo of. Anyone with information about the suspect's identity is asked to contact Detective Shawn Phalen at (925) 603-5858. People wishing to remain anonymous can contact the department's tip line at (925) 603-5836.